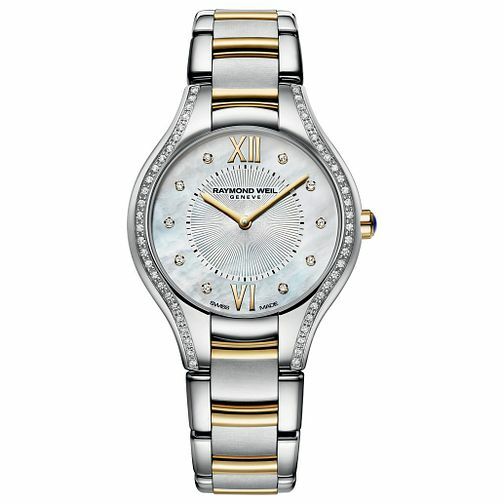 Following the refined elegance signature to Raymond Weil, this ladies' timepiece comes in fresh stainless steel with sparkling adornments. Set on a sleek stainless steel bracelet, glistening diamonds frame the mother of pearl dial. For Raymond Weil, aestheticism is a preoccupation in the development of their luxury Swiss watches for men.